If you like your denim suits, People will be treating you like you're Nino Brown when they see you wearing this denim fabric suit. 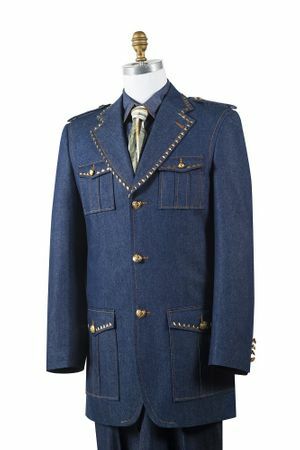 This eye catcher by Canto features a combination of denim fabric with a military look for a real unique fashion suit look. Like all Canto denim suits, this one comes with wide leg pants.